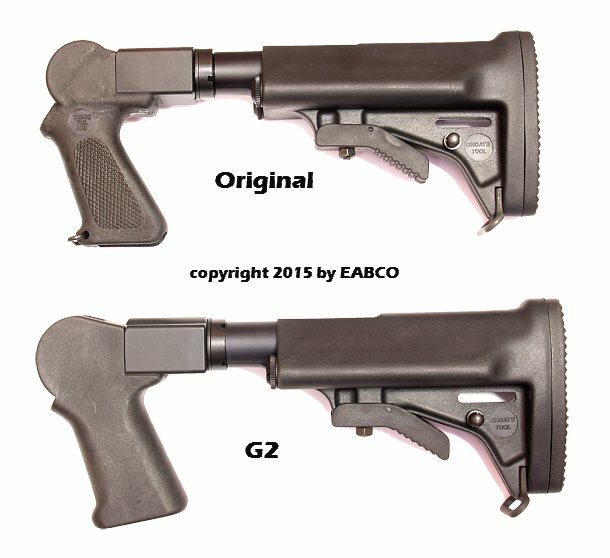 A solid, compact, collapsible, military grade M4 pistol grip and buttstock for the Original T/C Contender and G2 Contender. Over molded metal construction is rigid and tough. Attaches to your T/C with a single grip bolt. 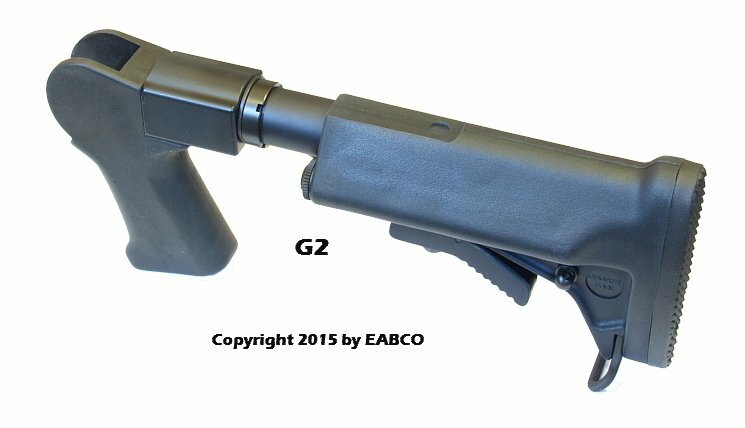 This stock can adjust your length of pull from 12¾-16" (Great for young or small shooters as well as large or tall shooters). Two O-Ring sealed storage compartments can carry extra cartridges, batteries, survival gear, etc. Shock absorbing rubber recoil pad is checkered. A sling loop, slot, and swivel stud provide three different options for carrying. 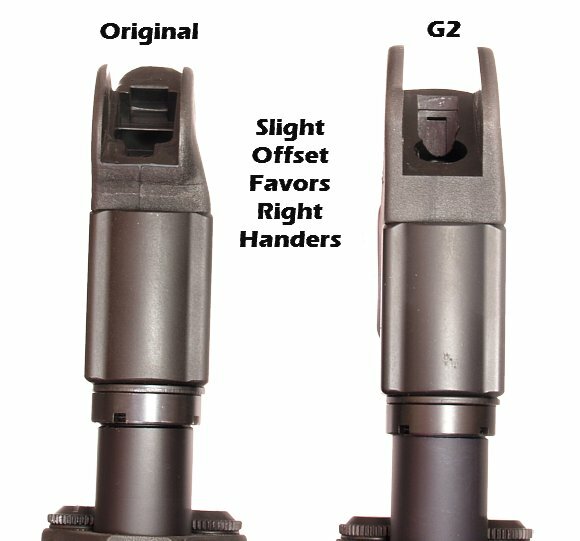 Slight Offset Favors Right Handers: Due to manufacturing considerations, there's a slight offset in these stocks that favors right handers. See the 4th photo above. good quality item. fit my gun well. very happy with my purchase. Very pleased with but stock. Strongly recommended! Added this to an original Contender carbine. Bolts right up after removing the original stock. Used the original stock bolt for the installation. 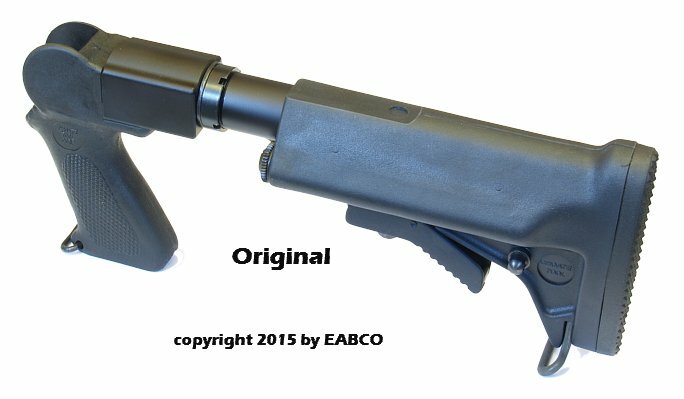 Now I have an easily adjustable stock just like an AR. The new stock does add a little weight to the carbine. Great product . Great price ! I mounted the stock that replaced the original t/c synthetic stock and I like the pistol grip better than the standard stock. The adjustable length does make it more compact, but that wasn't too great of a feature that interested me. By using a Sig Arm brace with this stock, I kept my Contender a pistol and not a SBR. It is a great product, very well made.